In memory of our fathers, and to carry on their tradition of sharing with others, we have established the Irving Goldberg-Harry Sovel Athletic Scholarship at Rutgers University. 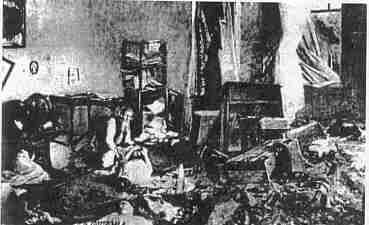 This is partial list of those ancestors lost in Pogroms and The Holocaust. Please feel free to send me names you would like to add. 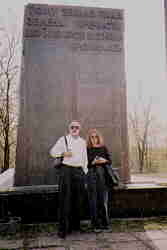 These names came from my research and Yad Vashem Pages of Testimony. 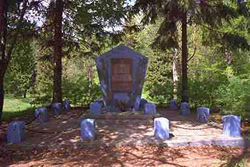 A memorial placed in 1995 by Alan and Marjorie Goldberg, in the forest of Glukhov, where Jewish residents of Glukhov were taken to be shot. 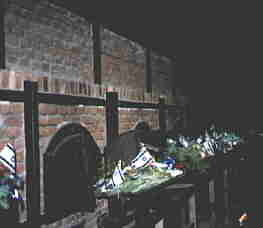 "In memory of the Jewish people of Glukhov who perished during the Second World War. May they rest in peace. Given by Alan & Marjorie Goldberg in memory of her grandfather Zalman Zavelsky, born Glukhov 1871, and all members of the Zavelsky family of Glukhov. 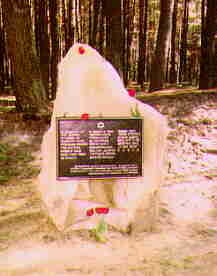 Memorial at the mass killing place in the Pinova Forest in Vilkomir.